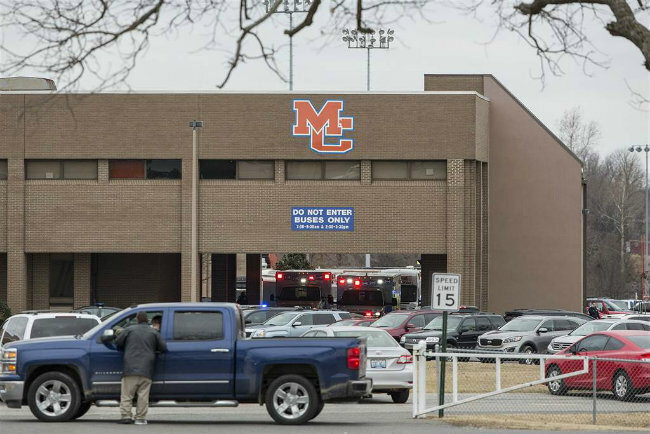 Late last week the gunman from the Marshall County High School shooting had been identified as 15-year-old Gabe Parker. Normally, minors are not identified until they are charged as adults, which prosecutors are expected to do. However, Parker’s name was made public after it was released that his mother is a local reporter who responded to the scene as part of her job. Speaking of parents, both of Parker’s parents are divorced and have remarried. Neighbors have said they don’t believe Parker’s mother kept any type of firearm in the home. And as is come to be expected, rumors of Parker being bullied have swirled through social media and then the local news. No reports of any actual bullying have yet to be confirmed and in my opinion probably never will be as the bullied school shooter is largely a myth. Another reason I think there was no bullying involved was because according to one witness, Parker liked to talk about violence and allegedly told people he wanted to join the Mafia. Even if he was bullied, he more than likely did not take his wrath out on his supposed tormentors, as according to most reports Parker targeted people at random. There still hasn’t been a motive mentioned publicly, but I’m still laying odds on Parker being just another Columbine copycat. Just another loser who can’t deal with his own inadequacies without resorting to violence who doesn’t have an original idea in his feeble little mind. UPDATE 3/15/2018: Parker had been previously charged as an adult and a court ruling has upheld that decision. UPDATE 3/29/2018: Earlier this month, Parker appeared in court, but according to this report, Parker claims he was not bullied. UPDATE 3/30/2018: Also earlier this month, Parker allegedly told police he was interested in science and he wanted to see how students, police and society would react to the shooting. I can honestly say, I wasn’t expecting that as a motive. This kid is an unabashed psychopath.